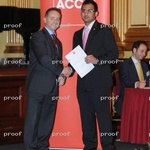 I am an ACCA Member with proven skills and expertise in Accounting and Finance. I am currently working in Saudi Arabia as CFO in a large Construction Company and have experience...Read moreI am an ACCA Member with proven skills and expertise in Accounting and Finance. I am currently working in Saudi Arabia as CFO in a large Construction Company and have experience of working in London for around 5 years and overall experience of over 8 years (5 years Managerial). I offer various services such as Bookkeeping, VAT, Payroll, Annual Returns, HMRC, Companies House, Microsoft Office based tasks, etc.